The Fallout 76 global release date for PS4, PC and Xbox One is scheduled for this fall. After Fallout 4 released in 2015, I was certain that the next big game from Bethesda would be an Elder Scrolls title. I didn’t know when but I was sure they’d hop back and forth between the two franchises. It turns out that’s not the case at all, and the next big game from Bethesda is Fallout 76, and it has a release date for 2018. Fallout 76 will be released on November 14, 2018. The game is scheduled to come out for PC, PS4, and Xbox One. However, those who can’t wait that long can get access to the B.E.T.A., also known as the Break It Early Test Application. We don’t have a concrete date for that, but we do now how players can get into the Fallout 76 B.E.T.A. and try the game early. Fallout 76 was well represented at E3 2018. Shacknews was lucky enough to sit down and speak with Pete Hines, Global Senior Vice President at Bethesda. 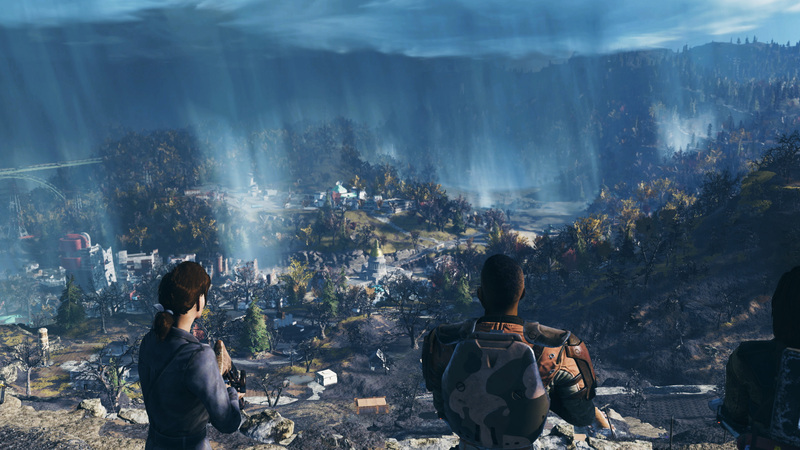 Hines discussed many different features that players can expect to see in Fallout 76, such as dedicated servers, the impact it will have on Fallout 5, and just what kind of a game Fallout 76 will be. For anyone looking to dig up more information on Fallout 76, an interview with Pete Hines is a pretty good place to start. We know that Fallout 76 will launch globally on November 14, 2018 for the PS4, PC, and Xbox One, but there are plenty more games to try this fall. Visit the Shacknews video game release dates 2018 guide and stay current on your favorite upcoming titles.